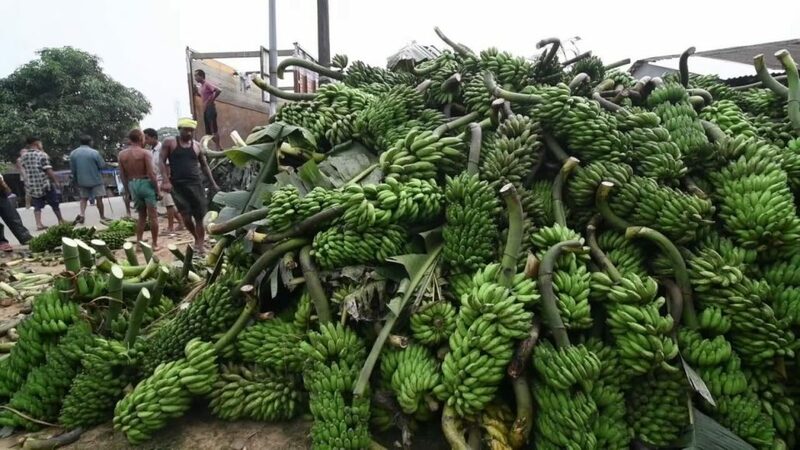 Boom time awaits banana farmers from Garo Hills of Meghalaya as they can now directly market their produce outside and get maximum value for their produce as they will no longer have to deal with middlemen. With an aim to optimize the profits and business of the indigenous banana growers, the banana farmers from North Garo Hills under the patronage from Kharkutta MLA Rupert Momin formed an association called the Gairong Area Banana Growers Association (GABGA). To mark the occasion, a first trial marketing of banana was also flagged off at Seven Mile, Dainadubi. The formation of GABGA has enabled the banana growers to sell off their first consignment directly to Gaya Market in Bihar. Notably, earlier, bananas from Garo Hills had to be transported to Daranggiri market in Assam, where the local growers were exploited by middlemen. It is expected that the average banana grower who earns around Rs 5,000 to Rs 7,000 monthly will now get between Rs 14,000 and Rs 18,000 through the association. Around one thousand farmers are expected to be benefitted. Through this initiative farmers income is likely to increase by 150 per cent. Meanwhile, plantation of G9 variety of banana has begun at five villages and is targeted to cover fifty more villages in due course of time.